Another stop along the Jubilee line extension, and another station that is this year celebrating its 20th birthday. Canada Water. Canada Water is a station that I’ve actually wanted to visit since I first moved to London back in 1999, but not for the Jubilee Line running through it. Today Canada Water provides an interchange with London Overground at the station, but back when the station opened in 1999 it was an interchange with the East London Line. The East London Line was opened in 1869 and used the old Thames Tunnel (originally for horse drawn carriages) to take tube trains under the River Thames. Before the line closed for refurbishment in late 2007 (after which it became part of London Overground) it used to use the same A class rolling stock as the Metropolitan Line. For years I’d lived on the Met line, and the carriages used to have line diagrams in for both lines as the rolling stock was shared between the two. I’d often sat on my daily commute into London and wondered what the East London line was like and planned to go and explore it one day. But sadly never made it. 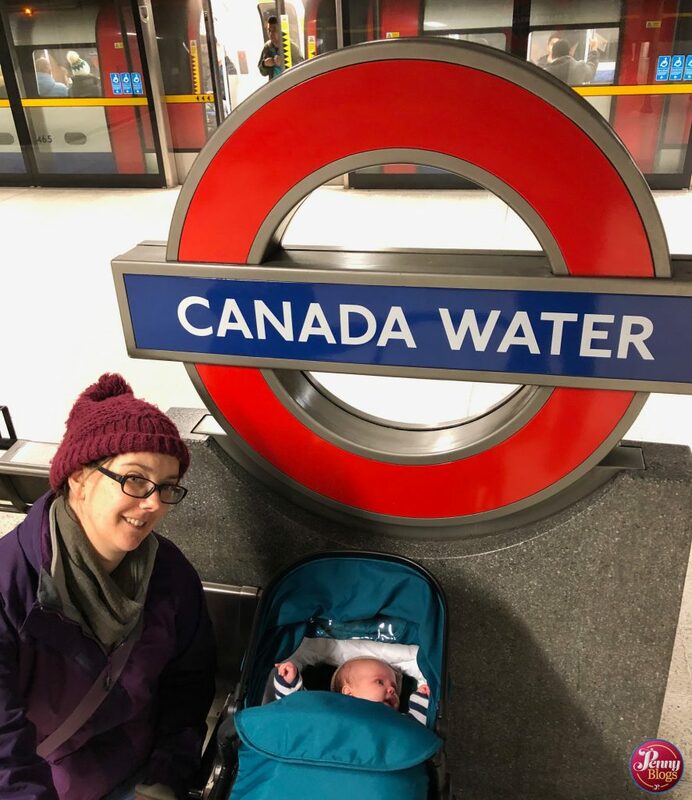 Our visit to Canada Water with Tube Stop Baby just took in the Jubilee Line platforms. Here they share a large island platform meaning that as you come in you can see the other direction track across the platform. I’m told that this design (which also happens at Canary Wharf) was done so that in peak times both platforms (East and West-bound) can be used for trains going in the same direction to help share the load. One random fact about Canada Water is that it once had the station name changed for a day. To coincide with the 2015 London Marathon, TfL took on its first external sponsorship of a station and all the roundels and other signs at the station were changed so that they read Buxton Water, as part of a sponsorship deal with Nestle. If you want to see more about what was done then I’ve found this video online that explains all. As a modern station Canada Water is full accessible so if London Overground becomes part of our challenge (as I’m beginning to think that it might) then I’m pretty sure we’ll be back.